NATO first confirmed then denied that Ukrainian forces have started using powerful ballistic missiles against militants in the east of the country. 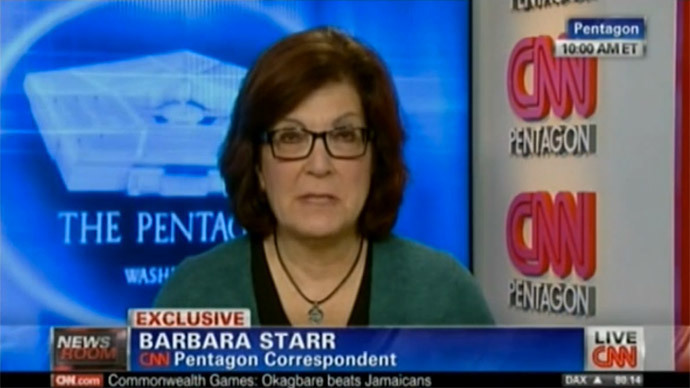 The use of missiles starting this week was first broken by CNN’s Barbara Starr on Wednesday, who cited “three sources” in the Pentagon who said that evidence had been obtained with satellite imagery. “Ukraine has encountered serious threats to its security, and can use whatever means necessary and proportionate to defend itself. But NATO does not officially confirm that ballistic missiles have been used in the conflict,” said the revised statement, which notably is not an outright denial either. Most experts thought that the likely weapon involved in shelling the militants, who have been retreating in the face of an intensifying government offensive, was the OTR-21 Tochka. 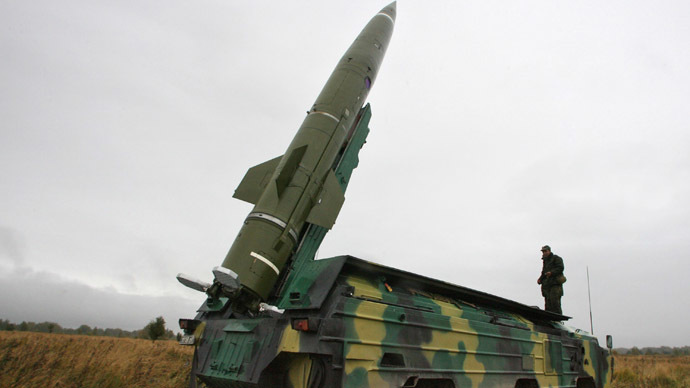 The Soviet-era weapon, NATO reporting name SS-21 Scarab, the newest modification of which has a range of up to 185 kilometers, with a warhead that contains up to 500 kilograms of explosive materials. It is not a high-precision weapon, and has an accuracy radius of about 70 meters at best. Following the CNN report, Ukraine Security Council representative Andrey Lysenko denied that Kiev was using ballistic missiles, claiming that Ukraine “has enough other, less destructive weapons” to fight off the insurgency. The leading field commander of the People’s Republic of Donetsk, Igor Strelkov, however, claimed that the government had transported three Scarabs to the airport in Kramatorsk, a rebel stronghold it has recently retaken. “The Ukrainian military are planning to use these ballistic missiles against water treatment plants that use chlorine in the cities of Donetsk and Lugansk,” Strelkov told reporters at a press conference on Thursday.